Belching and heartburn was a daily part of Madalyn Miller’s life. She tried keeping a food diary to track which foods caused reflux. And, she took antacids. “I was taking antacids constantly. 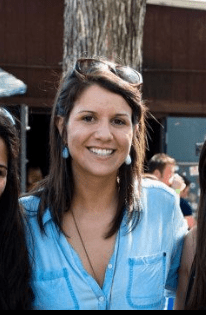 I tried prescription strength, regular, store brand, expensive brand,” Madalyn said. She even began to buy in bulk. But nothing worked to relieve her gastroesophageal reflux disease (GERD). Luckily for Madalyn, Dr. Leeds offered her a solution with a minimally-invasive procedure called LINX®. This simple device is a series of magnets in a ring shape, which an anti-reflux surgeon implants around the bottom of the esophagus in a laparoscopic procedure. 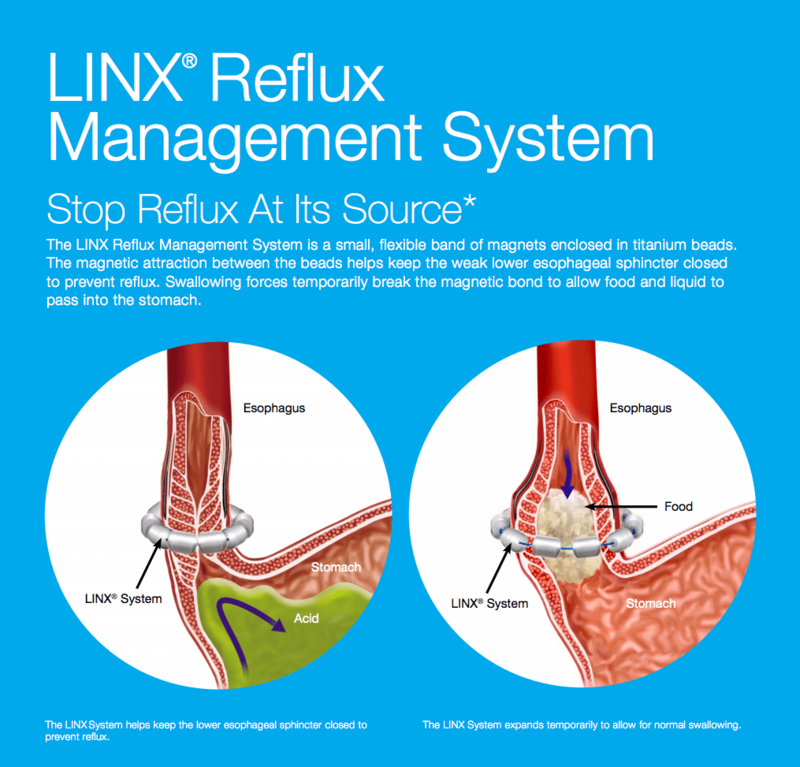 Typically, the outpatient procedure takes about an hour; LINX® is a permanently implanted medical device. The ring of magnets is designed to stay closed and prevent the weak reflux valve from opening. This prevents acid from the stomach moving up into the esophagus. The ring of magnets will open when the patient is eating to let food in much like a person’s native reflux valve. The LINX® will also open to let people belch and, if necessary, vomit. During the surgery, Dr. Leeds made five sub-centimeter incisions in Madalyn’s abdomen in which he inserted the laparoscopic tools used to place the LINX® device. THIS INFORMATION IS PROVIDED AS AN EDUCATIONAL SERVICE BY TORAX MEDICAL INC.
For Madalyn, the LINX® surgery was a game-changer. Madalyn was ready when her insurance company approved the surgery earlier this year. Five days later, Madalyn was back in client meetings. Swallowing was difficult during the first few weeks post-surgery, but she could follow her regular diet. Now, six months later, Madalyn is pleased. Learn more about available treatment options for acid reflux and gastroesophageal reflux disease (GERD). Digestive	Are probiotics good for you?